Sons of Odin Hauling specializes in residential, commercial, and construction junk removal. We come directly to your home, job site, or commercial property. Our hauling professionals break down and remove your waste with care and speed. At Sons of Odin Hauling, we take care of the dirty work. Our trash hauling services are a perfect fit for residential and commercial trash hauling jobs. Our debris trucks are equipped for hauling remodeling debris, roofing materials, construction materials, or any other large scale projects. Family Owned and Operated, Thor started Sons of Odin over 12 years ago. He still oversees the operational side of the business. Rob, his long time friend, joined forces to help him grow and the team has been knocking things down and hauling them away since! Thor and Rob are local boys and do everything they can to recycle and reuse. They love being a part of this community and hope you’ll give them a shot some time soon. Let Sons of Odin help with your next hauling project! Give us a call today or use our Free Quote form and let us help you with your next project! Sons of Odin Hauling has built a reputation for environmental responsibility and uses green hauling practices. We believe that garbage can be repurposed and that it’s all of our responsibility to be part of that process. If we can recycle it, we will recycle it. Based out of Berkeley, California we take green practices very seriously. We recycle most of the materials we collect to minimize the impact on landfills. Our clean and green trash removal practices can meet your removal needs while minimizing the impact on the environment. We want to help leave a cleaner planet for the next generation, one hauling truck at a time. When you choose Sons of Odin Hauling, you can rest assured that your job will be done professionally and responsibly with the environment in mind. Let us sort out your trash and rest assured that it’s being taken care of the right way. Call us today for your free quote! Sons of Odin Hauling can also help with removal of construction debris. We can even help get that last piece of concrete out of the ground before hauling it away. Our trucks are heavy duty and can haul away just about any type of construction-material you have. 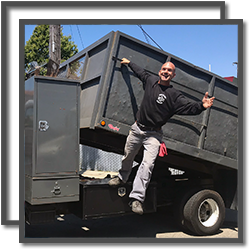 Whether you’re a contractor or you’re doing your own home improvement project, we have the junk removal service to fit your needs. Our trucks and hauling professionals can collect and tear down the last remnants of any house remodel or commercial reconstruction. We make it easy to get the trash out so you can enjoy your new space without the clutter. Our haulers are hard working professionals that won’t leave a scrap behind, leaving you with a clean environment to work with. Sons of Odin Hauling can put the finishing touches on your project. 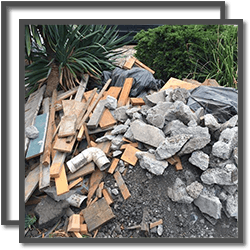 All construction materials can be hauled away and we’re happy to work with contractors, landscapers, and commercial businesses. Give us a call for more information and get your free quote! Here at Sons of Odin Hauling, we pride ourselves on being fully insured and provide workers compensation insurance for all of our employees. We’re a family business and we take care of our own, let us take care of your next project with assurance that we provide nothing but the best service possible for every job! Call today for a free estimate! Sons of Odin Hauling is dedicated to the highest level of customer service and environmentally responsible practices. We are a family owned business that has proudly served our community since 2006. 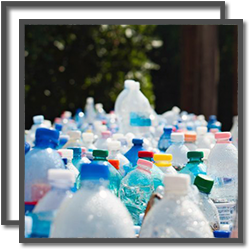 We can meet your debris removal needs while minimizing the impact on the environment.